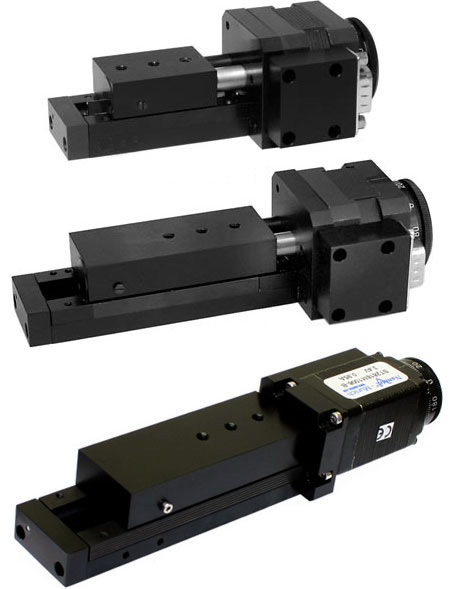 Micro Linear Actuators MLA-173 provides precision travel up to 50 mm. Driven by a brushless servo or stepper motor with a precision ground ball screw, this motorized stage offers high-resolution up to 0.1 micron. Linear actuator has low profile, high-stability compact and monolithic design, as its main feature, and together with its high resolution makes this device ideal for its integration in high precision measurement and manufacturing systems. MLA-173 Linear Actuators translation stages have two limit sensors for end of travel and referencing. 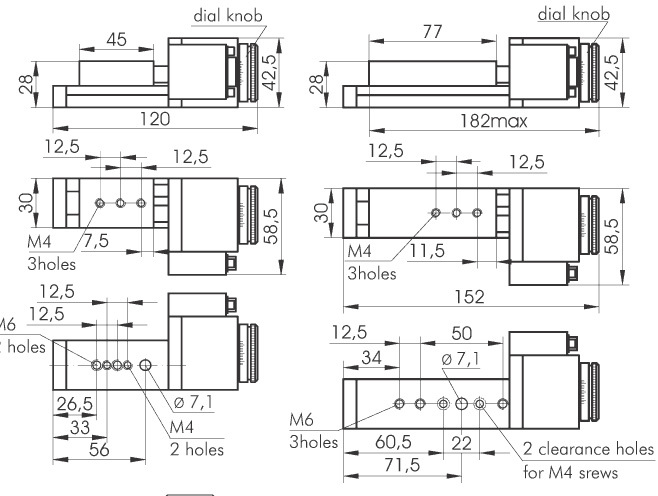 Motors have graduated knobs for manual operation and position observation.